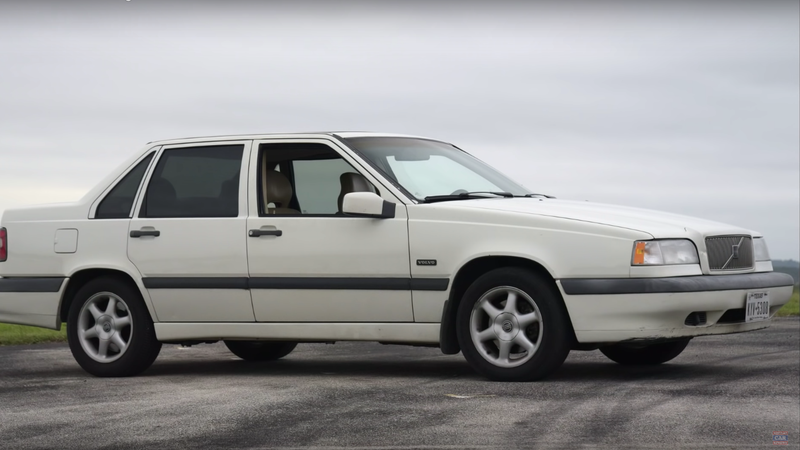 There’s a new Regular Car Reviews video up today, which features a 1997 Volvo 850. And I am beside myself with joy. Never before has RCR hit so close to home. This is even better than the Dodge Viper review. Mr. Regular calls the 850 “the most forgettable car in the world.” He says that it is “used-envelope exciting” and that it reminds anyone who drives it of grandmas. He is 100 percent on point here. It looked boxy and, as Mr. 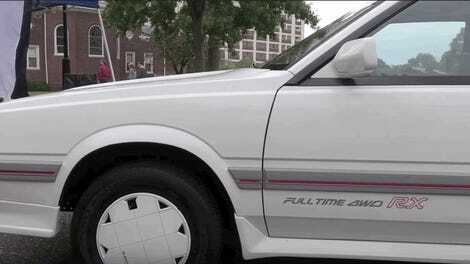 Regular correctly identifies, that wasn’t the aesthetic you’d expect from a brand-new car in the ’90s. So, it kind of came out of the box already dated. But today, I think it’s aged great. Most people probably don’t even give the 850 a second thought, but I do. I love the 850 because my grandmother had one. Hers was blue-green and an automatic and I still remember the smell of that cloth interior. It’s the car she used to drive us to school in and took us on trips out to Cape Cod with. Eventually, when I got my learner’s permit, I drove around that car with her. I took it to pass my driving test, because it was the only car we owned that had a handbrake. Sure, it was slow as watching paint dry (I don’t think she had the turbo version), but it sounded great, as five-cylinder engines usually do. And it was surprisingly light around tight corners. Eventually, the old Volvo started to die more and more frequently, so my grandmother traded it in for a Honda CR-V. It’s probably safer for her, but there are still days where I miss that Volvo. Yes, it wasn’t particularly engaging to drive, but not all cars need to be speed-, cornering-, grip-demons. Sometimes they can be nice, passable cars that you drive around in with your grandma.